The study author: Naidu KA. However, apes and humans can not synthesize ascorbic acid due to lack of an enzyme gulonolactone oxidase. Hence, ascorbic acid has to be supplemented mainly through fruits, vegetables and tablets. The current US recommended daily allowance (RDA) for ascorbic acid ranges between 100–120 mg/per day for adults. Many health benefits have been attributed to ascorbic acid such as antioxidant, anti-atherogenic, anti-carcinogenic, immunomodulator and prevents cold etc. However, lately the health benefits of ascorbic acid has been the subject of debate and controversies viz., Danger of mega doses of ascorbic acid? 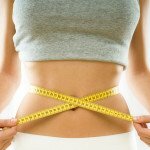 Does ascorbic acid act as a antioxidant or pro-oxidant ? Does ascorbic acid cause cancer or may interfere with cancer therapy? However, the Panel on dietary antioxidants and related compounds stated that the in vivo data do not clearly show a relationship between excess ascorbic acid intake and kidney stone formation, pro-oxidant effects, excess iron absorption. A number of clinical and epidemiological studies on anti-carcinogenic effects of ascorbic acid in humans did not show any conclusive beneficial effects on various types of cancer except gastric cancer. Recently, a few derivatives of ascorbic acid were tested on cancer cells, among them ascorbic acid esters showed promising anticancer activity compared to ascorbic acid. Ascorbyl stearate was found to inhibit proliferation of human cancer cells by interfering with cell cycle progression, induced apoptosis by modulation of signal transduction pathways. However, more mechanistic and human in vivo studies are needed to understand and elucidate the molecular mechanism underlying the anti-carcinogenic property of ascorbic acid. Thus, though ascorbic acid was discovered in 17th century, the exact role of this vitamin/nutraceutical in human biology and health is still a mystery in view of many beneficial claims and controversies. The sea voyager/sailors developed a peculiar disease called scurvy when they were on sea. This was found to be due to eating non-perishable items and lack of fresh fruits and vegetables in their diet. A British naval Physician, Lind documented that there was some substance in citrus fruits that can cure scurvy. He developed a method to concentrate and preserve citrus juice for use by sailors. British Navy was given a daily ration of lime or lemon juice to overcome ascorbic acid deficiency. Ascorbic acid was first isolated from natural sources and structurally characterized by Szent-Gyorgyi, Waugh and King. This vitamin was first synthesized by Haworth and Hirst. Currently ascorbic acid is the most widely used vitamin supplement through out the world. Ascorbic acid is widely distributed in fresh fruits and vegetables. It is present in fruits like orange, lemons, grapefruit, watermelon, papaya, strawberries, cantaloupe, mango, pineapple, raspberries and cherries. It is also found in green leafy vegetables, tomatoes, broccoli, green and red peppers, cauliflower and cabbage. Most of the plants and animals synthesize ascorbic acid from D-glucose or D-galactose. A majority of animals produce relatively high levels of ascorbic acid from glucose in liver (Fig 1). However, guinea pigs, fruit eating bats, apes and humans can not synthesize ascorbic acid due to the absence of the enzyme L-gulonolactone oxidase. Hence, in humans ascorbic acid has to be supplemented through food and or as tablets. Ascorbic acid is a labile molecule, it may be lost from foods during cooking/processing even though it has the ability to preserve foods by virtue of its reducing property. Synthetic ascorbic acid is available in a wide variety of supplements viz., tablets, capsules, chewable tablets, crystalline powder, effervescent tablets and liquid form. Buffered ascorbic acid and esterfied form of ascorbic acid as ascorbyl palmitate is also available commercially. Both natural and synthetic ascorbic acid are chemically identical and there are no known differences in their biological activities or bio-availability. L-ascorbic acid (C6H8O6) is the trivial name of Vitamin C. The chemical name is 2-oxo-L-threo-hexono-1,4-lactone-2,3-enediol. L-ascorbic and dehydroascorbic acid are the major dietary forms of vitamin C. Ascorbyl palmitate is used in commercial antioxidant preparations. All commercial forms of ascorbic acid except ascorbyl palmitate are soluble in water. L-ascorbic acid and its fatty acid esters are used as food additives, antioxidants, browning inhibitors, reducing agents, flavor stabilizers, dough modifiers and color stabilizers. Ascorbyl palmitate has been used for its greater lipid solubility in antioxidant preparations. In foods, pH influences the stability of ascorbic acid. It exhibits maximal stability between pH 4 and 6. Cooking losses of ascorbic acid depend on degree of heating, surface area exposed to water, oxygen, pH and presence of transition metals. 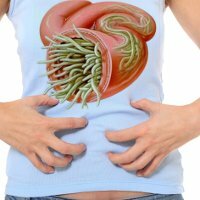 Ascorbic acid present in foods is readily available and easily absorbed by active transport in the intestine. 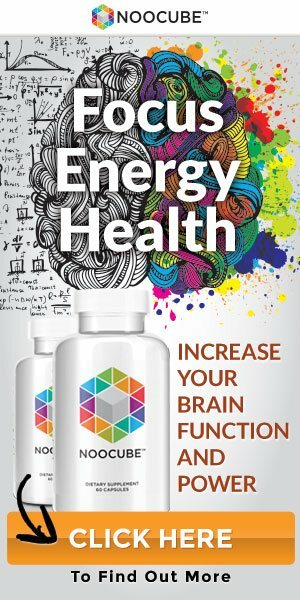 Most of it (80–90%) will be absorbed when the in take is up to 100 mg/day, whereas at higher levels of intake (500 mg/day) the efficiency of absorption of ascorbic acid rapidly declines. Ascorbic acid is sensitive to air, light, heat and easily destroyed by prolonged storage and over processing of food. Ascorbic acid being a water soluble compound is easily absorbed but it is not stored in the body. The average adult has a body pool of 1.2–2.0 g of ascorbic acid that may be maintained with 75 mg/d of ascorbic acid. About 140 mg/d of ascorbic acid will saturate the total body pool of vitamin C. The average half life of ascorbic acid in adult human is about 10–20 days, with a turn over of 1 mg/kg body and a body pool of 22 mg/kg at plasma ascorbate concentration of 50 μmol/ L. Hence ascorbic acid has to regularly supplemented through diet or tablets to maintain ascorbic acid pool in the body. The major metabolites of ascorbic acid in human are dehydroascorbic acid, 2,3-diketogulonic acid and oxalic acid (Fig 2). The main route of elimination of ascorbic acid and its metabolites is through urine. It is excreted unchanged when high doses of ascorbic acid are consumed. Ascorbic acid is generally non-toxic but at high doses (2–6 g/day) it can cause gastrointestinal disturbances or diarrhea. The side effects are generally not serious and can be easily reversed by reducing intake of ascorbic acid. Furthermore, there is no consistent and compelling data on serious health effects of vitamin C in humans. A deficiency of ascorbic acid leads to scurvy. It is characterized by spongy swollen bleeding gums, dry skin, open sores on the skin, fatigue, impaired wound healing and depression. Scurvy is of rare occurrence nowadays due to adequate intake ascorbic acid through fresh vegetables and fruits and or supplementation as tablets. The new average daily intake level that is sufficient to meet the nutritional requirement of ascorbic acid or recommended dietary allowances (RDA) for adults (>19 yr) are 90 mg/day for men and 75 mg/day for women. Consumption of 100 mg/day of ascorbic acid is found to be sufficient to saturate the body pools (neutrophils, leukocytes and other tissues) in healthy individuals. Based on clinical and epidemiological studies it has been suggested that a dietary intake of 100 mg/day of ascorbic acid is associated with reduced incidence of mortality from heart diseases, stroke and cancer. However, stress, smoking, alcoholism, fever, viral infections cause a rapid decline in blood levels of ascorbic acid. Smoking is known to increase the metabolic turnover of ascorbic acid due to its oxidation by free radicals and reactive oxygen species generated by cigarette smoking. It has been suggested that a daily intake of at least 140 mg/day is required for smokers to maintain a total body pool similar to that of non-smokers consuming 100 mg/day. Based on latest literature reports, it has been recommended that the RDA for ascorbic acid should be 100–120 mg/day to maintain cellular saturation and optimum risk reduction of heart disease, stroke and cancer in healthy individuals. There is no scientific evidence to show that even very large doses of vitamin C are toxic or exert serious adverse health effects. Furthermore, the panel on dietary antioxidants and related compounds suggested that in vivo data do not clearly show a relationship between excess vitamin C intake and kidney stone formation, pro-oxidant effects, excess iron absorption. The physiological functions of ascorbic acid are largely dependent on the oxido-reduction properties of this vitamin. L-ascorbic acid is a co-factor for hydroxylases and monooxygenase enzymes involved in the synthesis of collagen, carnitine and neurotransmitters. Ascorbic acid accelerates hydroxylation reactions by maintaining the active center of metal ions in a reduced state for optimal activity of enzymes hydroxylase and oxygenase. Ascorbic acid plays an important role in the maintenance of collagen which represents about one third of the total body protein. It constitutes the principal protein of skin, bones, teeth, cartilage, tendons, blood vessels, heart valves, inter vertebral discs, cornea and eye lens. Ascorbic acid is essential to maintain the enzyme prolyl and lysyl hydroxylase in an active form. The hydroxylation of proline and lysine is carried out by the enzyme prolyl hydroxylase using ascorbic acid as co-factor. Ascorbic acid deficiency results in reduced hydroxylation of proline and lysine, thus affecting collagen synthesis. Ascorbic acid is essential for the synthesis of muscle carnitine (β-hydroxy butyric acid). 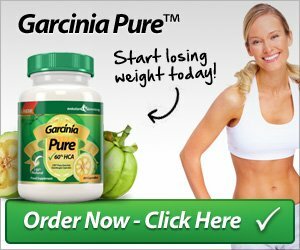 Carnitine is required for transport and transfer of fatty acids into mitochondria where it can be used for energy production. Ascorbic acid acts as co-factor for hydroxylations involved in carnitine synthesis. Further, ascorbic acid acts as co-factorfor the enzyme dopamine-β-hydroxylase, which catalyzes the conversion of neurotransmitter dopamine to norepinephrine. Thus ascorbic acid is essential for synthesis of catecholamines. In addition, ascorbic acid catalyzes other enzymatic reactions involving amidation necessary for maximal activity of hormones oxytocin, vasopressin, cholecystokinin and alpha-melanotripin. Ascorbic acid is also necessary for the transformation of cholesterol to bile acids as it modulates the microsomal 7 α-hydroxylation, the rate limiting reaction of cholesterol catabolism in liver. In ascorbic acid deficiency, this reaction becomes slowed down thus, resulting in an accumulation of cholesterol in liver, hypercholesterolemia, formation of cholesterol gall stones etc. Ascorbic acid is known to enhance the availability and absorption of iron from non-heme iron sources. Ascorbic acid supplementation is found to facilitate the dietary absorption of iron. The reduction of iron by ascorbic acid has been suggested to increase dietary absorption of non-heme iron. It is well known that in the presence of redox-active iron, ascorbic acid acts as a pro-oxidant in vitro and might contribute to the formation of hydroxyl radical, which eventually may lead to lipid, DNA or protein oxidation. Thus, ascorbic acid supplementation in individuals with high iron and or bleomycin-detectable iron (BDI) in some preterm infants could be deleterious because it may cause oxidative damage to biomolecules. However, no pro-oxidant effect was observed on ascorbic acid supplementation on DNA damage in presence or absence of iron. The most widely known health beneficial effect of ascorbic acid is for the prevention or relief of common cold. Pauling suggested that ingestion of 1–2 g of ascorbic acid effectively prevents/ ameliorate common cold. The role of oral vitamin C in the prevention and treatment of colds remains controversial despite many controlled trials. Several clinical trails with varying doses of ascorbic acid showed that ascorbic acid does not have significant prophylactic effect, but reduced the severity and duration of symptoms of cold during the period of infection. Randomized and non-randomized trials on vitamin C to prevent or treat the common cold showed that consumption of ascorbic acid as high as 1.0 g/day for several winter months, had no consistent beneficial effect on the incidence of common cold. For both preventive and therapeutic trials, there was a consistent beneficial but generally modest therapeutic effect on duration of cold symptoms. There was no clear indication of the relative benefits of different regimes of vitamin C doses. However, in trials that tested vitamin C after cold symptoms occurred, there was some evidence of greater benefits with large dose than with lower doses. There has been a long-standing debate concerning the role of ascorbic acid in boosting immunity during cold infections. Ascorbic acid has been shown to stimulate immune system by enhancing T-cell proliferation in response to infection. These cells are capable of lysing infected targets by producing large quantities of cytokines and by helping B cells to synthesize immunoglobulins to control inflammatory reactions. Further, it has been shown that ascorbic acid blocks pathways that lead to apoptosis of T-cells and thus stimulate or maintain T cell proliferation to attack the infection. This mechanism has been proposed for the enhanced immune response observed after administration of vitamin C during cold infections. Ascorbic acid plays a critical role in wound repair and healing/regeneration process as it stimulates collagen synthesis. Adequate supplies of ascorbic acid are necessary for normal healing process especially for post-operative patients. It has been suggested that there will be rapid utilization of ascorbic acid for the synthesis of collagen at the site of wound/ burns during post-operative period. Hence, administration of 500 mg to 1.0 g/day of ascorbic acid are recommended to accelerate the healing process. Lipid peroxidation and oxidative modification of low density lipoproteins (LDL) are implicated in development of atherosclerosis. Vitamin C protects against oxidation of isolated LDL by different types of oxidative stress, including metal ion dependent and independent processes. Addition of iron to plasma devoid of ascorbic acid resulted in lipid peroxidation, whereas endogenous and exogenous ascorbic acid was found to inhibit the lipid oxidation in iron-over loaded human plasma. Similarly, when ascorbic acid was added to human serum supplemented with Cu2+, antioxidant activity rather than pro-oxidant effects were observed . Ascorbic acid is known to prevent the oxidation of LDL primarily by scavenging the free radicals and other reactive oxygen species in the aqueous milieu. In addition, in vitro studies have shown that physiological concentrations of ascorbic acid strongly inhibit LDL oxidation by vascular endothelial cells. Adhesion of leukocytes to the endothelium is an important step in initiating atherosclerosis. In vivo studies have demonstrated that ascorbic acid inhibits leukocyte-endothelial cell interactions induced by cigarette smoke or oxidized LDL. Further, lipophilic derivatives of ascorbic acid showed protective effect on lipid-peroxide induced endothelial injury. A number of studies have been carried out in humans to determine the protective effect of ascorbic acid supplementation (500–100 mg/day) on in vivo and ex vivo lipid peroxidation in healthy individuals and smoker. The findings are inconclusive as ascorbic acid supplementation showed a reduction or no change in lipid peroxidation products. In this context, it is important to note that during ex vivo LDL oxidation studies, water soluble ascorbic acid is removed during initial LDL isolation step itself. Therefore, no change in ex vivo would be expected. Overall, both in vitro and in vivo experiments showed that ascorbic acid protects isolated LDL and plasma lipid peroxidation induced by various radical or oxidant generating systems. 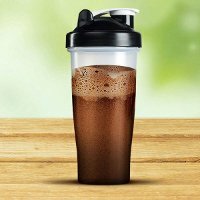 However, a recent report demonstrated that large doses of exogenous iron (200 mg) and ascorbic acid (75 mg) promoted the release of iron from iron binding proteins and also enhanced in vitro lipid peroxidation in serum of guinea pigs. This finding supports the hypothesis that high intake of iron along with ascorbic acid could increase in vivo lipid peroxidation of LDL and therefore could increase risk of atherosclerosis. However, Chen et al., demonstrated that ascorbic acts as an antioxidant towards lipids even in presence of iron over load in in vivo systems. 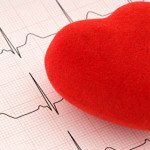 Numerous studies have looked at the association between ascorbic acid intake and the risk of developing cardiovascular disease (CHD). A large prospective epidemiological study in Finnish men and women suggested that high intake of ascorbic acid was associated with a reduced risk of death from CHD in women and not in men. Similarly, another study showed that high intake of ascorbic acid in American men and women appeared to benefit only women. A third American cohort study suggested that cardiovascular mortality was reduced in both sexes by vitamin C. In the UK, a study showed that the risk of stroke in those with highest intake of vitamin C was only half that of subjects with the lowest intake and no evidence suggestive of lower rate of CHD in those with high vitamin C intake. However, a recent meta analysis on the role of ascorbic acid and antioxidant vitamins showed no evidence of significant benefit in prevention of CHD. Thus, no conclusive evidence is available on the possible protective effect of ascorbic acid supplementation on cardiovascular disease. Nobel laureate Pauling and Cameron advocated use of high doses of ascorbic acid (> 10 g/day) to cure and prevent cold infections and in the treatment of cancer. The benefits included were increased sense of well being/ much improved quality of life, prolongation of survival times in terminal patients and complete regression in some cases. However, clinical studies on cancer patients carried out at Mayo Clinic showed no significant differences between vitamin C and placebo groups in regard to survival time. Cameron and Pauling believed that ascorbic acid combats cancer by promoting collagen synthesis and thus prevents tumors from invading other tissues. However, researchers now believe that ascorbic acid prevents cancer by neutralizing free radicals before they can damage DNA and initiate tumor growth and or may act as a pro-oxidant helping body’s own free radicals to destroy tumors in their early stages. Extensive animal, clinical and epidemiological studies were carried out on the role of ascorbic acid in the prevention of different types of cancers. A mixture of ascorbic acid and cupric sulfate significantly inhibited human mammary tumor growth in mice, while administered orally. Ascorbic acid decreased the incidence of kidney tumors by estradiol or diethylstilbesterol in hamsters due to decrease in the formation of genotoxic metabolites viz., diethylstilbesterol-4′-4″-qunione . Ascorbic acid and its derivatives were shown to be cytotoxic and inhibited the growth of a number of malignant and non-malignant cell lines in vitro and in vivo. Ascorbic acid has been reported to be cytotoxic to some human tumor cells viz., neuorblastoma, osteosarcoma and retinoblastoma. A number of ascorbic acid isomers/ derivatives were synthesized and tested on tumor cell lines. Roomi et al., 1998 demonstrated that substitution at 2- or 6- and both at 2,6-positions in ascorbic acid have marked cytotoxicity on malignant cells. Ascorbate-6-palmitate and ascorbate-6-stearate, the fatty acid esters of ascorbic acid were found to be more potent inhibitors of growth of murine leukemia cells compared to ascorbate 2-phosphate, ascorbate 6-phosphate and or ascorbate 6-sulfate respectively. Among ascorbic acid derivatives, fatty acid esters of ascorbic acid viz., ascorbyl palmitate and ascorbyl stearate have attracted considerable interest as anticancer compounds in view of their lipophilic nature as they can easily cross cell membranes and blood brain barrier. Ascorbic acid and ascorbyl esters have been shown to inhibit the proliferation of mouse glioma and human brain tumor cells viz., glioma (U-373) and glioblastoma (T98G) cells and renal carcinoma cells. Ascorbyl stearate was found to be more potent than sodium ascorbate in inhibiting proliferation of human glioblastoma cells. Ascorbyl-6-O-palmitate and ascorbyl-2-O-phosphate-6-O-palmitate also showed anti-metastatic effect by inhibiting invasion of human fibrosarcoma HT-1080 cells through matrigel and pulmonary metastasis of mouse melanoma model systems. Numerous reports are available in literature on cytotoxic and anti-carcinogenic effect of ascorbic acid and its derivatives in different tumor model systems. However, the molecular mechanisms underlying the anti-carcinogenic potential of ascorbic acid are not completely elucidated. Recently, Naidu et al demonstrated that ascorbyl stearate inhibited cell proliferation by interfering with cell cycle, reversed the phenotype and induced apoptosis by modulation of insulin-like growth factor 1-receptor expression in human brain tumor glioblastoma (T98G) cells. They also studied the effect of ascorbyl stearate on cell proliferation, cell cycle, apoptosis and signal transduction in a panel of human ovarian and pancreatic cancer cells. Treatment with ascorbyl stearate resulted in concentration-dependent inhibition of cell proliferation and also clonogenicity of ovarian/ pancreatic cancer cells. The anti-proliferative effect was found to be due to the arrest of cells in S/G2-M phase of cell cycle, with increased fraction of apoptotic cells. The cell cycle perturbations were found to be associated with ascorbyl stearate induced reduction in the expression and phosphorylation of IGF-I receptor, while the expression of EGFR and PDGFR remained unchanged. These changes were also associated with activated ERK1/2 but late reduction in AKT phosphorylation. Overexpression of IGF-I receptor in OVCAR-3 cells had no protective effect, however ectopic expression of a constitutively active AKT2 did offer protection from the cytotoxic effects of ascorbyl stearate. In conclusion, ascorbyl stearate-induced anti-proliferative and apoptotic effects in ovarian cancer were found to be mediated through cell cycle arrest and modulation of the IGF-IR and PI3K/AKT2 survival pathways. A plethora of epidemiological studies were carried out to find out the association of ascorbic acid with various types of cancers including breast, esophageal, lung, gastric, pancreatic, colorectal, prostate, cervical and ovarian cancer etc. The results were found to be inconclusive in most types of cancers except gastric cancer. One of the most consistent epidemiological findings on vitamin C has been an association with high intake of ascorbic acid or vitamin C rich foods and reduced risk of stomach cancer. Considerable biochemical and physiological evidence suggests that ascorbic acid functions as a free radical scavenger and inhibit the formation of potentially carcinogenic N-nitroso compounds from nitrates, nitrite in stomach and thus offer protection against stomach cancer. Low intake of ascorbic acid and other vitamins was associated with an increased risk of cervical cancer in two of three studies reported. This relationship needs further study because the results suggest that other nutrients including vitamin E, carotenoids, retinoic acid either individually or in synergy with ascorbic acid may impart a protective effect against various cancers. Current evidences suggest that vitamin C alone may not be sufficient as an intervention in the treatment of most active cancers, as it appears to be preventive than curative. However, vitamin C supplementation has shown to improve the quality of life and extend longevity in cancer patients, hence it could be considered as an adjuvant in cancer therapy. 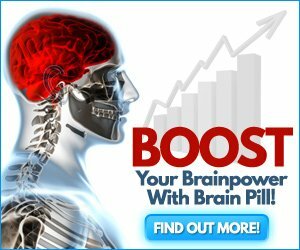 Dehydroascorbic acid, the oxidized form of ascorbic acid was shown to cross the blood brain barrier by means of facilitative transport and was suggested to offer neuroprotection against cerebral ischemia by augmenting antioxidant levels of brain. Does ascorbic acid acts as antioxidant or pro-oxidant? Vitamin C is an important dietary antioxidant, it significantly decreases the adverse effect of reactive species such as reactive oxygen and nitrogen species that can cause oxidative damage to macromolecules such as lipids, DNA and proteins which are implicated in chronic diseases including cardiovascular disease, stroke, cancer, neurodegenerative diseases and cataractogenesis. As shown in Table 2, ascorbic acid is a potent water soluble antioxidant capable of scavenging/ neutralizing an array of reactive oxygen species viz., hydroxyl, alkoxyl, peroxyl, superoxide anion, hydroperoxyl radicals and reactive nitrogen radicals such as nitrogen dioxide, nitroxide, peroxynitrite at very low concentrations. In addition ascorbic acid can regenerate other antioxidants such as α-tocopheroxyl, urate and β-carotene radical cation from their radical species. Thus, ascorbic acid acts as co-antioxidant for α-tocopherol by converting α-tocopheroxyl radical to α-tocopherol and helps to prevent the α-tocopheroxyl radical mediated peroxidation reactions. These radical species are highly reactive and can trigger lipid peroxidation reactions. 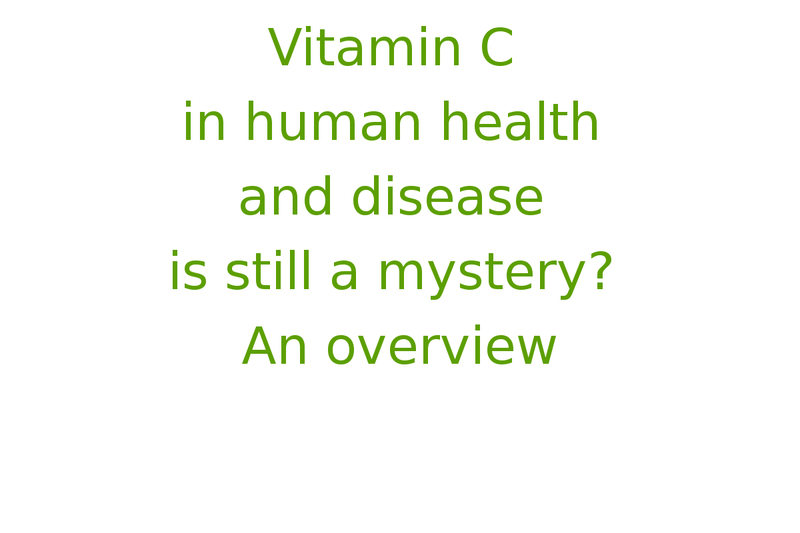 Thus the question arises whether vitamin C acts as a pro-oxidant in in vivo conditions? The answer appears to be “no” as though these reactions occur readily in vitro, its relevance in in vivo has been a matter of debate concerning ready availability of catalytically active free metal ions in vivo. In biological systems, iron is not freely available, but it is bound to proteins like transferrin, hemoglobin and ferretin. Mobilization of iron from these biomolecules may be required before it can catalyze lipid peroxidation. Further, the concentration of free metal ions in in vivo is thought to be very low as iron and other metals are sequestered by various metal binding proteins. Another factor that may affect pro-oxidant vs antioxidant property of ascorbic acid is its concentration. The in vitro data suggest that at low concentrations ascorbic acid act as a pro-oxidant, but as an antioxidant at higher levels. Moreover, a recent report demonstrated that large doses of exogenous iron (200 mg) and ascorbic acid (75 mg) promote the release of iron from iron binding proteins and also enhance in vitro lipid peroxidation in serum of guinea pigs. This finding supports the hypothesis that high intake of iron along with ascorbic acid could increase in vivo lipid peroxidation of LDL and therefore could increase risk of atherosclerosis. However, another study demonstrated that in iron-overloaded plasma, ascorbic acid acts as an antioxidant and prevent oxidative damage to lipids in vivo. Is ascorbic acid harmful to cancer patients? Agus et al have reported that the tumor cells contain large amounts of ascorbic acid, although the role of ascorbic acid in tumors is not yet known. They have established that vitamin C enters through the facilitative glucose transporters (GLUTs) in the form of dehydroascorbic acid, which is then reduced intracellularly and retained as ascorbic acid. It is speculated that high levels of ascorbic acid in cancer cells may interfere with chemotherapy or radiation therapy since these therapies induce cell death by oxidative mechanism. Thus, ascorbic acid supplementation might make cancer treatment less effective because, ascorbic acid being a strong antioxidant may scavenge or neutralize the oxidative stress induced by chemotherapy in cancer patients. However, more studies are needed to understand the role of ascorbic acid in tumors cells and the speculative contraindication of ascorbic acid for cancer chemotherapy. Does ascorbic acid cause cancer ? Recently, it has been reported that lipid hydroperoxide can react with ascorbic acid to form products that could potentially damage DNA, suggesting that it may form genotoxic metabolites from lipid hydroperoxides implicating that ascorbic acid may enhance mutagenesis and risk of cancer. Lee et al , demonstrated that ascorbic acid induces decomposition of lipid hydroperoxide (13-(S)-hydroperoxy-(Z,E)-9,11-octadecadienoic acid;(13-HPODE) in presence of transition metals to DNA-reactive bifunctional electro-philes namely 4-oxo-2-nonenal, 4,5-epoxy-2(E)-decenal and 4-hydroxy-2-nonenal. 4-oxo-2-nonenal being a genotoxin can react with DNA bases to form mutations or apoptosis. Thus, the above process can give rise to substantial amounts of DNA damage in vivo. However there are many questions, which need to be considered before we accept the hypothesis that ascorbic acid can cause cancer by producing genotoxic metabolites from lipids. The hydroperoxides formed through lipid peroxidation reaction are rapidly reduced to aldehydes by a number of enzymes. 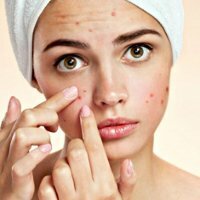 Further, ascorbic acid being a strong antioxidant effectively inhibits the formation of lipid peroxides as ascorbic acid forms the first line of antioxidant defense mechanism in human plasma. The formation of lipid hydroperoxides occur only after ascorbic acid has been exhausted. Hence, interaction of ascorbic acid and hydroperoxide may not arise in human plasma. Recently, high intracellular vitamin C was reported to prevent oxidation-induced mutations in human cells. Thus, the physiological relevance of these results is yet to be established in in vivo experiments. Ascorbic acid is one of the important and essential vitamins for human health. It is needed for many physiological functions in human biology. Fresh fruits, vegetables and also synthetic tablets supplement the ascorbic acid requirement of the body. However, stress, smoking, infections and burns deplete the ascorbic acid reserves in the body and demands higher doses of ascorbic acid supplementation. Based on available biochemical, clinical and epidemiological studies, the current RDA for ascorbic acid is suggested to be 100–120 mg/day to achieve cellular saturation and optimum risk reduction of heart diseases, stroke and cancer in healthy individuals. In view of its antioxidant property, ascorbic acid and its derivatives are widely used as preservatives in food industry. Many health benefits have been attributed to ascorbic acid namely antioxidant, anti-atherogenic and anti-carcinogenic activity. 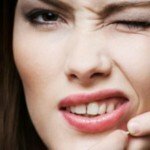 Lately some of these beneficial effects of ascorbic acid are contradicted. The relation between ascorbic acid and cancer is still a debatable as the molecular mechanism underlying anti-carcinogenic activity of ascorbic acid is not clearly elucidated. Regarding the pro-oxidant activity of vitamin C in presence of iron, there is compelling evidence for antioxidant protection of lipids by ascorbic acid both with and without iron co-supplementation in animals and humans. Current evidences also suggest that ascorbic acid protects against atherogenesis by inhibiting LDL oxidation. The data on vitamin C and DNA damage are conflicting and inconsistent. However, more mechanistic and human in vivo studies are warranted to establish the beneficial claims on ascorbic acid. Thus, though ascorbic acid was discovered in 17th century, the role of this important vitamin in human health and disease still remains a mystery in view of many beneficial claims and contradictions. Author gratefully acknowledges Dr.S.G.Bhat, Head, Department of Biochemistry and Nutrition and Dr.V.Prakash, Director, CFTRI, Mysore for their encouragement in preparing this review. The author also acknowledges Dr.Santo V.Nicosia and Dr. D.Coppola, Moffitt Cancer Research Center, University of South Florida, Tampa, FL, USA for supporting the work on ascorbyl stearate in his laboratory. This article is published under license to BioMed Central Ltd. This is an Open Access article: verbatim copying and redistribution of this article are permitted in all media for any purpose, provided this notice is preserved along with the article’s original URL. Lind J: A treatise of scurvy. Printed by Sands, Murray and Cochran for Kincaid, A and Donaldson, A. Edinburgh. 1753. Svirbely JL, Szent-Gyorgyi A: The chemical nature of vitamin C. Biochem J. 1932, 26865-870. Waugh WA, King CG: Isolation and identification of vitamin C. J Biol Chem. 1932, 97: 325-331. Haworth WN, Hirst EL: Synthesis of ascorbic acid. J Soc Chem Ind (London). 1933, 52: 645-647. Moser U, Bendich A: Vitamin C. In: Handbook of Vitamins. Edited by: Machlin LJ. 1990, Marcel Dekker, New York; 1990:Ch5. Sauberlich HE: Bioavailability of vitamins. Prog Food Nutr Sci. 1985, 9: 1-33. Sauberlich HE: Ascorbic acid. In: Present knowledge in Nutrition. Edited by: Brown ML. 1990, Nutrition Foundation, Washington DC. 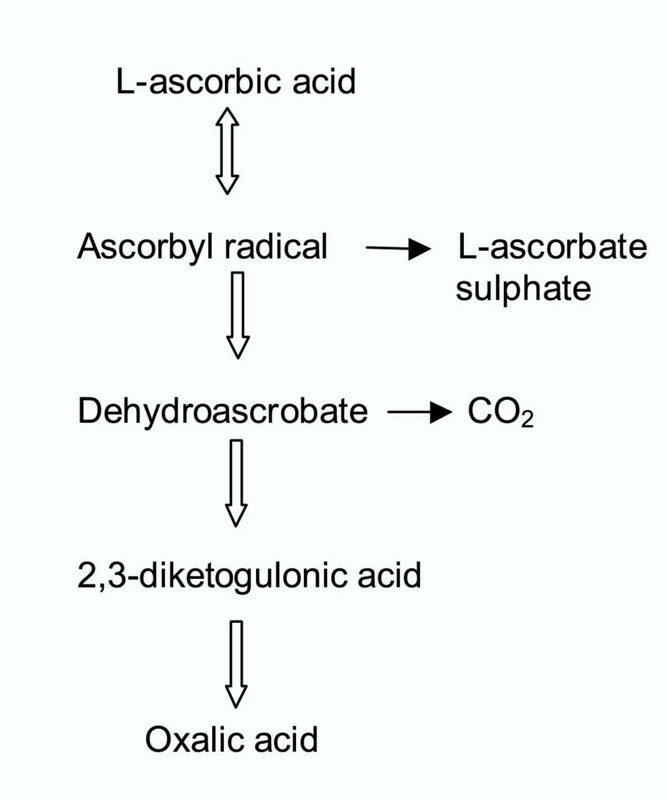 Hellman L, Burns JJ: Metabolism of L-ascorbic acid-1-C14 in man. J Biol Chem. 1958, 230: 923-930. Kallner A, Horing D, Hartman D: Kinteics of ascorbic acid in humans. In: Ascorbic acid: Chemistry, metabolism and uses. Edited by: Seib PA, Tolbert BM. 1982, Advances in Chemistry Series No.200, American Chemical Society, Washington, DC, 385-400. Anderson D, Phillips BJ, Yu T, Edwards AJ, Ayesh R, Butterworth KR: The effect of vitamin C supplementation on biomarkers of oxygen radical generated damage in human volunteers with low or high cholesterol levels. Environ Mol Mutagens. 1997, 30: 161-174. 10.1002/(SICI)1098-2280(1997)30:23.3.CO;2-J. Johnson CS: Biomarkers for establishing a tolerable upper intake level for vitamin C. Nutr Rev. 1999, 57: 71-77. Johnson CS, Steinberg FM, Rucker RB: Ascorbic acid. In: Hand book of Vitamins. Edited by: Rucker RB, Sultie JW, McCormick, DB, Machlin LJ. 1998, Marcel Dekker Inc, New York, 529-585. Olson RE: Water soluble vitamins. In: Principles of Pharmacology. Edited by: Munson PL, Mueller RA, Bresse GR. 1999, Chapman and Hall, New York, 1999:Ch59. Frei B, Traber M: The new US dietary reference for vitamins C and E. Redox Rep. 2001, 6: 5-9. Carr AC, Frei B: Does vitamin C act as pro-oxidant under physiological conditions ?. FASEB J. 1999, 13: 1007-1024. Frei B, Forte TM, Ames BN, Cross CE: Gas-phase oxidants of cigarette smoke induce lipid peroxidation and changes in lipoprotein properties in human blood plasma: protective effects of ascorbic acid. Biochem J. 1981, 277: 133-138. Kallner A, Hartmann D, Hornig D: On the requirement of ascorbic acid in man: steady-state turnover and body pool in smokers. Am J Clin Nutr. 1981, 34: 1347-1355. Carr AC, Frei B: Toward new recommended dietary allowance for vitamin C based on antioxidant and health effects in humans. Am J Clin Nutr. 1999, 69: 1086-1107. Bendich A: Vitamin C safety in humans. In: Vitamin C in Health and Disease. Edited by: Packer L, Fuchs J. 1997, Marcel Dekker Inc. New York, 369-379. Food and Nutrition Board: Dietary reference intakes for vitamin C, vitamin E, selenium and carotenoids. National Academy Press, Washington, DC. 2000. Levin M: New concepts in the biology and biochemistry of ascorbic acid. New Engl J Med. 1986, 31: 892-902. Hulse JD, Ellis SR, Henderson LM: Carnitine biosynthesis-beta hydroxylation of trimethyllysine by an α-keto glutarate dependent mitochondrial dioxygenase. J Biol Chem. 1978, 253: 1654-1659. Cameron E, Pauling L: Ascorbic acid and the glycosaminoglycans. Oncology. 1973, 27: 181-192. Ginter E, Bobek P, Jurcovicova M: Role of ascorbic acid in lipid metabolism. In: Ascorbic acid, chemistry, metabolism and uses. Edited by: Seith PA, Toblert, BM. 1982, American Chemical Society, Washington, DC, 381-393. Hallberg L: Bioavailability of dietary iron in man. Annu Rev Nutr. 1981, 1: 123-127. 10.1146/annurev.nu.01.070181.001011. Bendich A, Cohen M: Ascorbic acid safety: analysis factors affecting iron absorption. Toxicol Lett. 1990, 51: 189-190. 10.1016/0378-4274(90)90210-D.
Samuni A, Aronovitch J, Godinger D, Chevion M, Czapski G: On the cytotoxicity of vitamin C and metal ions: A site specific Fenton mechanism. Eur J Biochem. 1983, 137: 119-124. Minetti M, Forte T, Soriani M, Quaresima V, Menditto A, Ferrari M: Iron Induced ascorbate oxidation in plasma as monitored by ascorbate free radical formation: No spin trapping evidence for the hydroxyl radical in iron-over loaded plasmas. Biochem J. 1992, 282: 459-465. Berger TM, Mumby S, Gutteridge JMC: Ferrous ion detected in iron-overloaded cord blood plasma from preterm and term babies: Implication for oxidation stress. Free Rad Res. 1995, 22: 555-559. Halliwell B: Vitamin C: Antioxidant or pro-oxidant in vivo ?. Free Rad Res. 1996, 25: 439-454. Herbert V, Shaw S, Jayatileke E: Vitamin C driven free radicals generation from iron. J Nutr. 1996, 126: 1213-1220. Proteggente AR, Rehman A, Halliwell B, Rice-Evans CA: Potential problems of ascorbic acid and iron supplementation: Pro-oxidant effect in vivo ?. Biochem Biophys Res Commun. 2000, 277: 535-540. 10.1006/bbrc.2000.3711. Pauling L: Vitamin C and common cold. Freeman, San Francisco, CA. 1970, Linus Pauling, Vitamin C and the common cold, Can Med Assoc J. 1971 Sep 4; 105(5): 448, 450. PMCID: PMC1931292. Campbell JD, Cole M, Bunditrutavorn B, Vell AT: Ascorbic acid is a potent inhibitor of various forms of T cell apoptosis. Cell Immunol. 1999, 194: 1-5. 10.1006/cimm.1999.1485. Shukla SP: Level of ascorbic acid and its oxidation in the liver of Scorpion. Palamnaeus bengalensis. Experentia. 1969, 25: 602-604. Steinbrecher UP, Zhang H, Lougheed M: Role of oxidative modified LDL in atherosclerosis. Free Rad Biol Med. 1990, 9: 155-168. 10.1016/0891-5849(90)90119-4. Frei B: Vitamin C as an antiatherogen: mechanism of action. In Vitamin C in Health and disease. Edited by: Packer L, Fuchs J. 1997, Marcel and Dekker, Inc., New York, 163-182. Berger TM, Polidori MC, Dabhag A, Evans PJ, Halliwell B, Marrow JD, Roberts LJ, Frei B: Antioxidant activity of viamin C in iron-over loaded human plasma. J Biol Chem. 1992, 272: 15656-15660. 10.1074/jbc.272.25.15656. Dasgupta A, Zdunek T: In vitro lipid peroxidation of human serum catalyzed by copper ion: antioxidant rather than pro-oxidant role of ascorbate. Life Sci. 1992, 50: 2875-2882. 10.1016/0024-3205(92)90206-5. Frei B, England L, Ames BN: Ascorbate is an outstanding antioxidant in human blood plasma. Proc Natl Acad Sci USA. 1989, 86: 6377-6381. Martin A, Frei B: Both intracellular and extracellular vitamin C inhibit atherogenic modification of LDL by human vascular endothelial cells. Atheroscler Thromb Vasc Biol. 1997, 17: 1583-1590. Lehr HA, Frei B, Arfors KE: Vitamin C prevents cigarette smoke-induced leukocyte aggregation and adhesion to endothelium in vivo. Proc Natl Acd Sci USA. 1994, 91: 7688-7692. Lehr HA, Weyrich AS, Saetzler RK, Jurek A, Arfors KE, Zimmerman GA, Prescott SM, McIntyre TM: Vitamin C blocks inflammatory platelet-activating factor mimetics created by cigarette smoking. J Clin Invest. 1997, 99: 2358-2364. Lehr HA, Frei B, Olofsson AM, Carew TE, Arfors KE: Protection from oxidized LDL induced leukocyte adhesion to microvascular and macrovascular endothelium in vivo by vitamin C but not by vitamin E. Circulation. 1995, 91: 1552-1532. Kaneko T, Kaji K, Mastuo M: Protective effect of lipophilic derivatives of ascorbic acid on lipid peroxide-induced endothelial injury. Arch Biochem Biophys. 1993, 304: 176-180. 10.1006/abbi.1993.1336. Fuller CJ, Grundy SM, Norkus EP, Jialal I: Effect ascorbate supplementation on low density lipoprotein oxidation in smokers. Atherosclerosis. 1996, 119: 139-150. 10.1016/0021-9150(95)05659-9. Nyyssonen K, Poulsen HE, Hayn M, Agerbo P, Porkkalo Sarataho E, Kaikkonen J, Salonen R, Salonen JT: Effect of supplementation of smoking men with plain or slow release ascorbic acid on lipoprotein oxidation. Eur J Clin Nutr. 1997, 51: 154-163. 10.1038/sj.ejcn.1600376. Samman S, Brown AJ, Beltran C, Singh S: The effect of ascrobic acid on plasma lipids and oxidisability of LDL in male smokers. Eur J Clin Nutr. 1997, 51: 472-477. 10.1038/sj.ejcn.1600431. Wen Y, Cooke T, Feely J: The effect of pharmacological supplemen-tation with vitamin C on low density lipoprotein oxidation. Br J Clin Pharma. 1997, 44: 94-97. 10.1046/j.1365-2125.1997.00623.x. Kapsokefalou M, Miller DD: Iron loading and large doses of intravenous ascorbic acid promote lipid peroxidation in whole serum in guinea pigs. Br J Nutr. 85: 681-687. Chen K, Suh J, Carr AC, Marrow JD, Zeind J, Frei B: Vitamin C suppresses lipid damage in vivo even in the presence of iron over-load. Am J Physiol Endocrinol Metab. 2000, 279: E1406-1212. Knekt P, Reunanen A, Jarvinen R, Seppanen R, Heliovaara M, Aromaa A: Antioxidant vitamin intake and coronary mortality in a longitudinal population study. Am J Epidemiol. 1994, 139: 1180-1189. Manson JE, Stampfer MJ, Willett WC, et al: A prospective study of vitamin C and incidence of coronary heart disease in women. Circulation. 1982, 85: 865-875. Rimm EB, Stampfer MJ, Ascherio A, Giovanno E, Colditz GA, Willettt WC: Vitamin E consumption and risk of coronary heart disease in men. N Engl J Med. 1993, 328: 1450-1456. 10.1056/NEJM199305203282004. Enstrom JE, Kanim LE, Klein MA: Vitamin C intake and mortality among a sample of the United States population. Epidemiology. 1992, 3: 194-202. Gale CR, Martyn CN, Winter PD, Cooper C: Vitamin C and risk of death from stroke and coronary heart disease in cohort of elderly people. Br Med J. 1995, 310: 1563-1566. Ness A, Egger M, Davey-Smith G: Role of antioxidant vitamins in prevention of cardiovascular disease. Br Med J. 1999, 319: 577-579. Cameron E, Pauling L: In: Cancer and Vitamin C. 1979, W.W.Norton &; Company, Inc, New York, 132. Cameron E, Pauling L: Supplemental ascorbate in the supportive treatment of cancer: Prolongation of survival times in terminal human cancer. Proc Natl Acad Sci USA. 1976, 73: 3685-3689. Cameron E, Pauling L: Supplemental ascorbate in the supportive treatment of cancer: Reevaluation of prolongation of survival times in terminal human cancer. Proc Natl Acad Sci USA. 1978, 75: 4538-4542. Murata A, Morsige F, Yamaguchi H: Prolongation of survival times of terminal cancer patients by administration of large doses of ascorbate. Int J Vit Nutr Res Suppl. 1982, 23: 103-113. Moertel CG, Fleming TR, Creagan ET, Rubin J, O’Connell MJ, Ames MM: High dose vitamin C versus placebo in the treatment of patients with advanced cancer who have had no prior chemothrerapy : A randomized double blind comparison. N Engl J Med. 1985, 312: 137-141. Block G: Vitamin C and cancer prevention: the epidemiological evidence. Am J Clin Nutr. 1991, 53: 270S-282S. Frei B: Reactive oxygen species and antioxidant vitamins: Mechanism of action. Am J Med. 1994, 97: 5S-13S. Uddin S, Ahmad S: Antioxidant protection against cancer and other human diseases. Comprehen Therap. 1995, 21: 41-45. Tsao CS: Inhibiting effect of ascorbic acid on growth of human mammary tumor xenografts. Am J Clin Nutr. 1991, 54: 1274S-1280S. Liehr JG: Vitamin C reduces the incidence and severity of renal tumors induced by estradiol or diethylstibesterol. Am J Clin Nutr. 1991, 54: 1256S-1260S. Park CH, Kimler BF: Growth modulation of human leukemic, pre-leukemic and myeloma progenitor cell by L-ascorbic acid. Am J Clin Nutr. 1991, 54: 1241S-1246S. Eckert-Maksic M, Kovacek I, Maksic ZB, Osmak M, Paveli K: Effect of ascorbic acid and its derivatives on different tumors in vivo and in vitro. In: Molecules in Natural Science and Medicine. An Encomium for Linus Pauling. Edited by: Maksic ZB, Eckert-Maksic M. 1991, Ellis Horwood, New York, 509-524. Murakami K, Muto N, Fukasawa GK, Yamamoto I: Comparison of ascorbic acid and ascorbic acid 2-O-L-glucosidase on the cytotoxicity and bioavailability to low density culture of fibroblast. Biochem Pharmacol. 1992, 44: 2191-2197. 10.1016/0006-2952(92)90034-G.
Roomi MW, House D, Eckert_Maksic M, Maksic ZB, Tsao CS: Growth suppression of malignant leukemia cell line in vitro by ascorbic acid (Vitamin C) and its derivatives. Cancer Lett. 1998, 122: 93-99. 10.1016/S0304-3835(97)00376-5. Pavelic K: L-ascorbic acid induced DNA strand breaks and cross links in human neuroblastoma cell. Brain Res. 1985, 342: 369-373. 10.1016/0006-8993(85)91139-4. Medina MA, de Veas RG, Schweigerer L: Ascorbic acid is cytotoxic for peidoatric tumor cells cultured in vitro. Biochem Mol Biol Inter. 1994, 34: 871-874. Roomi MW, House D, Tsao CS: Cytotoxic effect of substitution at 2-, 6-, and 2,6-positions in ascorbic acid on malignant cell line. Cancer Biochem Biophys. 1998, 16: 295-300. Banks WA, Kastin AJ: Peptides and blood brain barrier: lipophilicity as predictor of permeability. Brain Res Bull. 1985, 15: 287-292. 10.1016/0361-9230(85)90153-4. Naidu AK, Wiranowska M, Kori SH, Prockop LD, Kulkarni AP: Inhibition of human glioma cell proliferation and glutathione-S-transferase by ascorbyl esters and interferon. Anticancer Res. 1993, 13: 1469-1471. Naidu AK, Wiranowska M, Kori SH, Prockop LD, Kulkarni AP: Inhibition of cell proliferation and glutathione-S-transferase by ascorbyl esters and interferon in mouse glioma. J Neuro-Oncol. 1993, 16: 1-10. Makino Y, Sakagami H, Takeda M: Induction of cell death by ascorbic acid derivatives in human renal carcinoma and glioblastoma cell lines. Anticancer Res. 1999, 19: 3125-3132. Naidu KA, Tang JL, Naidu KA, Prockop LD, Nicosia SV, Coppola D: Antiproliferative and apoptotic effect of ascorbyl stearate in human glioblastoma multiforme cell: Modulation of insulin-like growth factor-I receptor (IGF-IR) expression. J Neuro-Oncol. 2001, 54: 15-22. 10.1023/A:1012545311054. Liu JW, Nago N, Kageyama K, Miwa N: Anti-metastatic effect of an autooxidation-resistant and lipophilic ascorbic acid derivative through inhibition of tumor invasion. Anticancer Res. 2000, 20: 113-118. Naidu AK, Karl RC, Naidu KA, Coppola D: The antiproliferative and pro-apoptotic effect of Ascorbyl Stearate in Human pancreatic cancer cells : Association with decreased expression of insulin-like growth factor receptor-1. Digest Dis Sci. 2003, 48: 230-237. 10.1023/A:1021779624971. Naidu AK, Naidu KA, Sun M, Dan HC, Nicosia SV, Cheng JQ, Coppola D: Ascorbyl stearate inhibits proliferation and induces apoptosis of human ovarian carcinoma cells by targeting PI3k/akt pathway. Communicated to J Biol Chem. 2003. Sauberlich HE: Vitamin C and Cancer. In: Nutrition and disease update cancer. Edited by: Carroll KK, Kritchevsky D. 1994, AOCS Press, Champaign, Ilinois, 111-157. Schorah CJ, Sobala M, Collis N, Primrose JN: Gastric juice ascorbic acid: effects of disease and implications for gastric carcinogenesis. Am J Clin Nutr. 1991, 53: 287S-293S. Sobala GM, Pignaetelli B, Schorah CJ, Bartsch H, Sanderson M, Dixon MF, Shires S, King RFG, Axon ATR: Levels of nitrite, nitrate, N-nitroso compounds, ascorbic acid in gastric juice of patients with and without precancerous conditions of the stomach. Carcinogenesis. 1991, 12: 193-198. Drake IM, Davies MJ, Mapstone NP, Dixon MF, Schorah CJ, White KL, Chamers DM, Axon AT: Ascorbic acid may protect against human gastric cancer by scavenging mucosal oxygen radicals. Carcinogenesis. 1996, 17: 559-562. Brock KE, Berry G, Mock PA, MacLennan R, Truswell AS, Brinton LA: Nutrients in diet and plasma and risk in situ cervical cancer. J Natl Cancer Inst. 1988, 80: 580-585. Verreault R, Chu J, Mandelson M, Shy K: A case study of diet and invasive cancer. Int J Cancer. 1989, 43: 1050-1054. Potischman N, Brinton LA: Nutrition and cervical neoplasia. Cancer Causes Control. 1996, 7: 113-126. Rock CL, Michael CW, Reynolds RK, Ruffin MT: Prevention of cervix cancer. Crit Rev Oncol Hematol. 2000, 33: 169-183. 10.1016/S1040-8428(99)00073-6. Huang J, Agus DB, Winfree CJ, Kiss S, Mack WJ, McTaggart RA, Choudhri TF, Kim LJ, Mocco J, Pinsky DJ, Fox WD, Israel RJ, Boyd TA, Golde DW, Connolly ES: Dehydroascorbic acid, a blood-brain barrier transportable form of vitamin C, mediates potent cerebroprotection in experimental stroke. Proc Natl Acad Sci U S A. 2001, 98: 11720-11724. 10.1073/pnas.171325998. Halliwell B, Gutteridge JMC: Free radicals in Biology and Medicine. Oxford University Press, Oxford. 1999. Halliwell B, Gutteridge JMC: Oxygen free radicals and iron in relation to biology and medicine: some problem and concepts. Arch Biochem Biophys. 1986, 246: 501-514. Neuzil J, Thomas SR, Stocker R: Requirement for promotion or inhibition by α-tocopheroxyl radical induced plasma lipoprotein lipid peroxidation. Free Rad Biol Med. 1997, 22: 57-71. 10.1016/S0891-5849(96)00224-9. Buettner GR, Jurkiewicz BA: Catalytic metals, ascorbate and free radicals: combinations to avoid. Rad Res. 1996, 145: 532-541. Berger TM, Poldori MC, Dabbagh A, Evans PJ, Halliwell B, Morrow JD, Roberts II J, Frei B: Antioxidant activity of vitamin C in iron-overloaded human plasma. J Biol Chem. 1997, 279: 15636-15660. Agus DB, Vera JC, Golde DW: Stromal cell oxidation: A mechanism by which tumors obtain vitamin C. Cancer Res. 1999, 59: 4555-4558. Lee SH, Oe T, Bliar IA: Vitamin C induced decomposition of lipid hydroperoxides to endogenous genotoxins. Science. 2001, 292: 2083-2086. 10.1126/science.1059501. Marnett LJ: Oxyradicals and DNA damage. Carcinogenesis. 2000, 21: 361-370. 10.1093/carcin/21.3.361. Johnson TM, Yu ZX, Ferrans VJ, Lowenstein T, Finkel T: Reactive oxygen species are downstream mediators of p53 dependent apotposis. Proc Natl Acd Sci USA. 1996, 93: 11848-11852. 10.1073/pnas.93.21.11848. Lutsenko EA, Carcamo JM, Golde DW: Vitamin C prevents DNA mutation induced by oxidative stress. J Biol Chem. 2002, 277: 16895-16899. 10.1074/jbc.M201151200. Naidu KA. 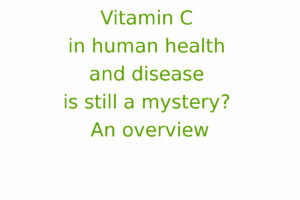 Vitamin C in human health and disease is still a mystery? An overview. Nutr J 2003; 2: 7-16.